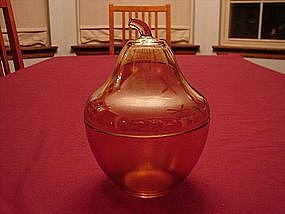 Marigold lidded Pear Jar. Measures 7" tall x 5" dia. Mint condition.